Santa Monica, California (May 13, 2014) - Imperativa Records, the world's leading independent record label specializing in the 'Epic Music' genre, presents IMMEDIATE's genre-defining new album, Trailerhead: NU EPIQ, the fourth volume of the highly successful Trailerhead album series devoted to the power and emotion of epic orchestral music. Led by pioneering Emmy® award-winning composer and producer Yoav Goren, who first introduced original 'Epic Music' for blockbuster movie trailers over twenty years ago, IMMEDIATE are widely recognized as Hollywood's per-eminent producers of original music for major motion picture trailers. IMMEDIATE continue to evolve the sound of modern epic music, taking the genre in new musical directions and elevating the art form to new creative heights. Trailerhead: NU EPIQ will be available for streaming, digital download and CD on May 27. IMMEDIATE's music has generated over 5,000 placements in film, television, trailers, commercials, and video games, including high profile worldwide marketing campaigns for - "The Amazing Spider-Man 2", "Captain America: The Winter Soldier", "Maleficent", "The Hunger Games: Catching Fire", "Call of Duty: Ghosts", "Iron Man 3", "Thor: The Dark World," "The Wolverine", "Rush", "Star Trek: Into Darkness", "After Earth", "Oblivion", "The Hobbit: An Unexpected Journey", "The Dark Knight Rises", "Harry Potter and the Deathly Hallows, pts. 1 & 2", "Twilight: Breaking Dawn," "Pirates Of The Caribbean: At Worlds' End", "Assassin's Creed", "The Chronicles of Narnia", "X-Men", "Avatar", McDonalds, PlayStation, UEFA Championship, Olympics and many more. Ranging from anthemic orchestral soundtracks to symphonic rock, contemporary classical, and power pop, the 'Epic Music' genre is unified by the incorporation of real orchestra and choir recorded in some of the best sounding halls and studios in the world. The music, while spanning a variety of styles, shares similar emotional values which encapsulates the contemporary music category known as 'Epic Music'. With the release of the original Trailerhead album in 2008, Imperativa Records and IMMEDIATE launched the 'Epic Music' genre as a bona fide contemporary music category, with CD sales and digital downloads far exceeding those of most film soundtracks. The subsequent volumes in the Trailerhead series, SAGA (2010) and TRIUMPH (2012), further consolidated the growing appeal and widespread popularity of the 'Epic Music' genre in popular culture by featuring compositions from trailers for the biggest films in Hollywood and even spawning the first-of-its-kind 'Trailer Music Live' concerts both in the United States and Europe. Forging the next evolution in the 'Epic Music' genre, with Trailerhead: NU EPIQ, IMMEDIATE builds on the mold of previous albums, infusing a new modern sound and evolved compositional approach while continuing the tradition of featuring modern orchestral and choral compositions blended with contemporary electronics, rock and synthesis. NU EPIQ is IMMEDIATE's biggest and boldest creative statement yet, featuring 19 original tracks of incredibly anthemic, emotional cinematic music that transcend the medium, existing independently as a legitimate form of artistic expression with a rapidly growing and fervent fan-base, as well as featuring in the latest trailers for Hollywood blockbuster movies. NU EPIQ is produced by Yoav Goren and was recorded in the finest concert halls and studios worldwide, including the famed Abbey Road in London, and features performances by members of the London Symphony Orchestra and the City of Prague Philharmonic Orchestra. 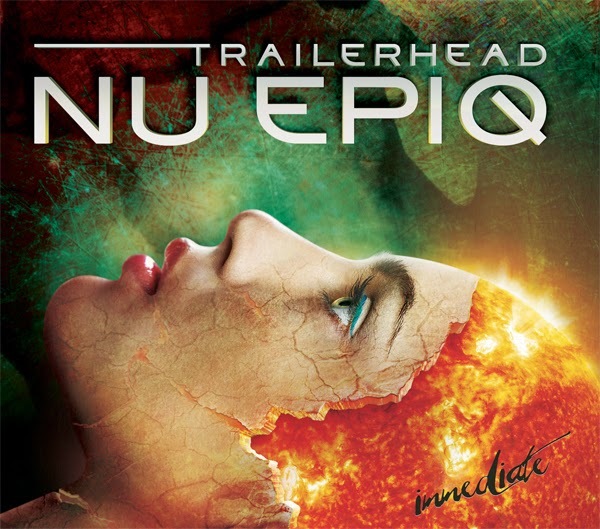 Trailerhead: NU EPIQ will be released for streaming, digital download and CD on May 27 by Imperativa Records and distributed at North American retail through Entertainment One. For more information on IMMEDIATE and Imperativa Records, please visit www.imperativarecords.com. Listen to album sampler here.